I seek to provide an atmosphere which is respectful and non-judgemental in which each person is able to feel that their experience is understood and valued. My approach to counselling enables clients to deeply explore the painful experiences that may, for example, underlie anger, shame, depression, relationship issues and the complex effects of trauma. My approach supports the growth of new ways of engaging in relationship and living more productively. My approach to counselling enables a client to deeply explore the repetitive painful interactions and experiences that may, for example, underlie anger, depression, relationship difficulties, eating disorders, addictions, and the complex effects of trauma. This therapeutic process supports the growth of new ways of engaging in relationship with oneself and others, and living more creatively. I use an integrated approach in my counselling to enable exploration of conscious and unconscious behaviours, emotional experience, and beliefs and attitudes. I value working with the whole person - feelings, mind, body and spirit. I draw on a range of theory to understand how to facilitate processes of change and growth. These include theory that addresses human development, personality and character, patterns of attachment, and contemporary psychodynamic theory. Building on a solid background in education and following a time devoted to parenthood, I entered the field of counselling over 25 years ago. In addition to my counselling work with individuals and couples, I conduct workshops and seminars for groups, and I regularly present at conferences. I am also involved in the education of counselling students and the provision of clinical supervision to practitioners. I am a founding partner of Supervision Alliance providing training and professional development in clinical supervision and acting as a hub for supervisor networking. 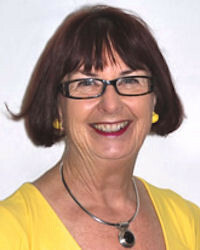 I am committed to the professionalisation of counselling and am a Clinical Registrant of PACFA, the Psychotherapy and Counselling Federation of Australia. Hours of service are normal business hours Monday to Thursdays, with evening and Saturday morning appointments by special arrangement. Parking on property is readily available. My practice is also close to public transport on bus route 200C. Payment may be made by cash or cheque at the time of the appointment. I seek to provide an atmosphere which is respectful and non-judgemental in which each person is able to feel that their experience is understood and valued.